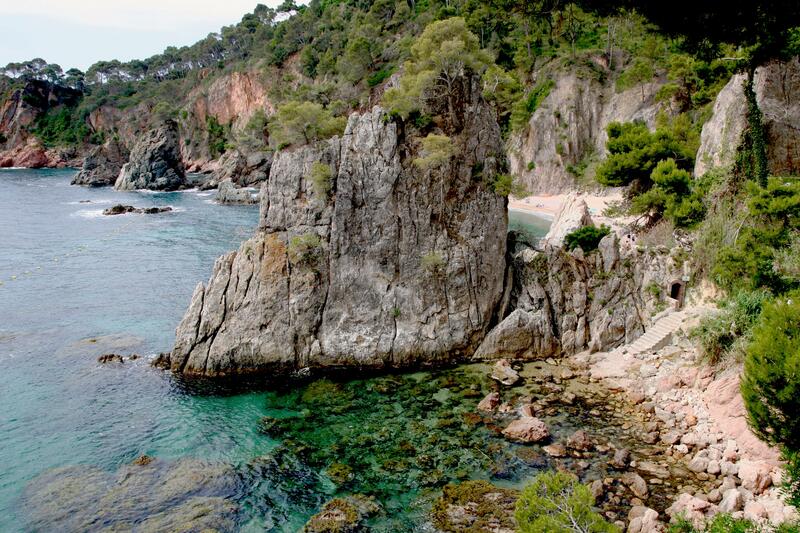 The Costa Brava has something special that will make you fall in love with this area. Known for its coves of paradise, charming towns and natural parks, this stretch of the Catalan coastline is the perfect destination for a short getaway or a holiday. This article will provide you with some places to stay on the Costa Brava, depending on what you seek from your holiday. Perfectly connected by the AP-7, with national and international flights arriving into Girona and Barcelona airports, the Costa Brava deserves to be explored. The Costa Brava offers holidays for all tastes. From the city of Girona to places like Figueres, there are destinations that combine the natural beauty of the coastline, with culture and medieval history. With beaches, museums, historical sites, bars and restaurants, you will not be short of things to do on the Costa Brava. This coastline is famous for its dreamy beaches. Tossa de Mar and Cadaqués are two towns on the Costa Brava full of charm and are great destinations among those who are seeking a sun-filled beach getaway. From urban beaches with all the facilities to little bays tucked into coves you can enjoy the beauty and tranquillity of the Mediterranean sea. For a luxury holiday on the Costa Brava, there is no better place than Empuriabrava. The unique channel system of the town means you to explore it by boat. If you are looking for a holiday on a budget, places such as L’Estartit and L’Escala also have magnificent beaches and endless entertainment. They are good places to stay without having to spend too much money but you will not miss out on anything that the Costa Brava has to offer. Those travelling as a family can look for the seal of "Family Tourism" granted by the Catalan Government in locations such as Rosas and Platja d'Aro. This approval takes into consideration services, activities and security systems, specifically designed for those seeking a holiday on the Costa Brava with children. Villages like Pals are more tranquil and provide the perfect holiday for those wanting to escape the madding crowd. Located at the top of a hill above rice fields, you can explore Pals by bike or take one of the hiking trails. Finally, those who seek a lively nightlife from their holiday can visit Lloret de Mar or Blanes, with many parties and discos that continue into the early hours of the morning. Explore the many places to stay on the Costa Brava and pick up some ideas of what to do in these locations on your holiday. 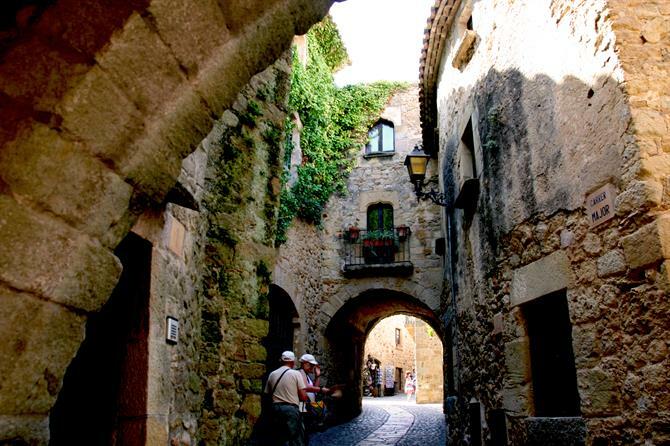 Just a few kilometres from the Costa Brava is the second largest city in Catalonia, Girona. Here, you can enjoy aspects of history and culture free from the hustle and bustle of bigger cities. Spend the day getting lost in the labyrinth of cobblestoned streets and centenary buildings of the Jewish quarter - the best preserved in Europe and listen to the chimes of the majestic Cathedral dominating the city from above. Furthermore, wander around the old town encased by ancient Roman walls and capture the views of the Pyrenees that sit in the background. Girona is great to visit throughout the year. However, a particularly special time is in May during “Temps de Flors” (The Festival of flowers). The city streets are full of floral charm, with flowers and floral decorations as far as the eye can see. Don't hesitate to book your holiday rental in Girona city for a memorable city break. Another destination on the Costa Brava for a city break is Figueres. Despite being small in size, the centre is full of life, especially during the summer months when the city hosts a large number of international events. Other popular attractions of this town are the Toy Museum and the Empordà Wine Museum. A highlight of Figueres' heritage is the Theatre-Museum of Dalí. Designed by the Catalan artist himself to display his work it is particularly recognisable due to its vibrant red exterior and striking circular domes. Take a look at our suggestions for the best holiday plans in Figueres and discover more places like the Castillo de San Fernando - the biggest fortress in Europe, explore deeper into the art of Salvador Dalí and the secrets of the Costa Brava through booking your holiday home in Figueres. Holiday homes on the beach on the Costa Brava are perfect for enjoying good weather during your holiday in a paradisal setting. The coastline is known for its lengthy beaches with fine golden sand and great beach facilities. Enjoy eating and drinking in one of the many beach bars, lay back and relax in a sun lounger or explore the marine life by renting snorkelling equipment. Windsurfing, water skiing and kayaking are also popular activities on this coast. Undoubtedly, the defining feature of the Costa Brava coastline the remote coves, with secluded and intimate bays protected by steep cliffs. Visit these coves in Cape of Creus, just a short distance from the towns of Roses and Cadaqués. If you are lucky, in the coves of Jugadora, Portaló and Culleró you may find a little bay all to yourself. Much like other towns on the Costa Brava, Cadaqués has fabulous beaches. From the numerous urban beaches like Playa Grande, Es Sortell or Es Pianc where you can enjoy some stunning sunsets to the wild coves of Cape of Creus, you will discover a little bit of paradise on the Costa Brava. 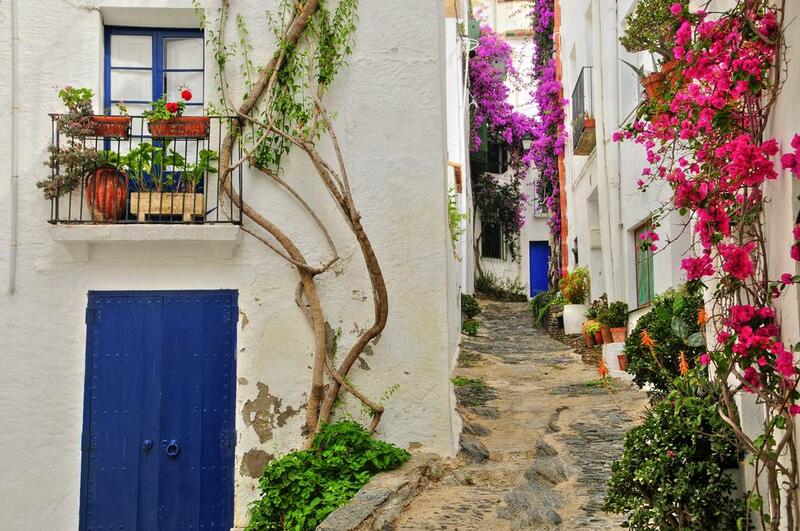 Find the best holiday rentals in Cadaqués, pack your suncream and enjoy the sun sea and sand. Wherever you go on the Costa Brava you will find incredible beaches but to help you with your search here is a guide to the most picturesque and best beaches on the Costa Brava. In Tossa de Mar you can stay in a holiday home with just a few steps to the beach. Playa Gran is one of best beaches in Tossa de Mar, lay on the sand, soak up the scenery and combine your day at the beach with a walk around the impressive medieval wall that surrounds the bay. There are many more beaches like this along the Costa Brava, some more examples are those in Cala Futadera and Cala Giverola, the perfect places for a beach stroll or even take a boat ride with a glass roof! The Costa Brava is so varied in what it has to offer, stretching over 214 kilometres of coastline there are options for all holiday interests. Empuriabrava and Calella de Palafrugell are the ideal destinations for those seeking a luxury holiday. 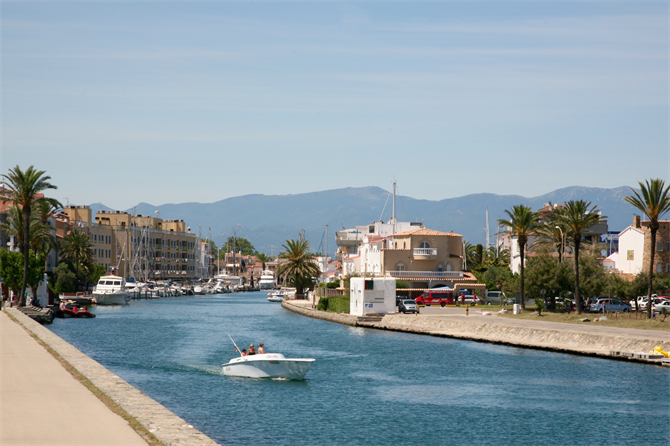 As if being surrounded by incredible beaches and natural parks wasn't enough, if you rent a holiday home in Empuriabrava you can access your property directly by boat due to the unique canal system of the town. Empuriava has been called the "Venice of Spain", rent a boat and navigate through the canals or venture out onto the Mediterranean, drop anchor and sunbathe on the deck. Also a popular spot for golf, dock up at one of the parks and tee off. 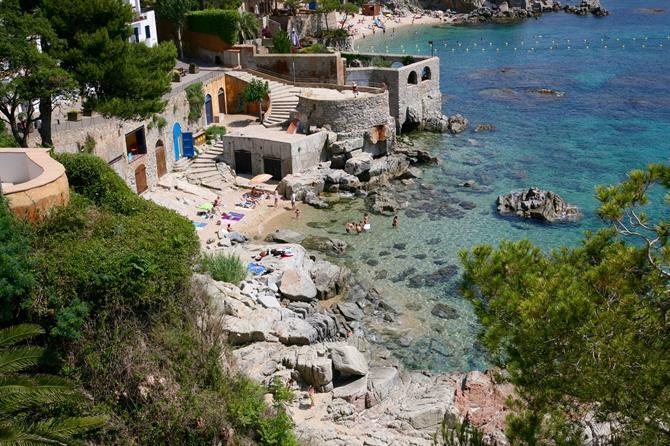 Another town synonymous with luxury is Calella de Palafrugell, here you can find luxury holiday homes on the Costa Brava. With white-washed houses and intimate turquoise beaches, it depicts the classic Mediterranean image. Aside from its incredible beaches, Calella hosts numerous events throughout the year and is renowned for its restaurants where diners enjoy a meal by candlelight overlooking the sea. Calella is home to the Botanical Garden of Cap Roig. These beautiful gardens face the Mediterranean and host exhibitions with international artists being the venue for all types of festivals. For a piece of paradise, book your holiday home in Calella de Palafrugell and be spoiled by its beauty. If you venture away from the chiringuitos and terraces on the beach promenade you will find bars and restaurants with lower prices. You can also find many cheaper holiday rentals on the Costa Brava without feeling like you are going without. Cheaper areas to stay on the Costa Brava are L’Estartit and L’Escala with some holiday rentals in L’Estartit starting from € 27 per night. In L'Estartit, you have the option to spend time on three different urban beaches as well as more intimate beaches in small coves. Another place for cheaper holiday rentals is L’Escala, located just 90 minutes from Barcelona and next to Girona airport. L’Escala is a popular place to practice various water sports and where visitors go admire the impressive sand dunes. If you are travelling as a family it is often important that you find a destination with activities designed to keep children entertained. Many popular locations now specialise in family tourism making it easy to find holiday homes for families on the Costa Brava. An option that never fails to entertain the children is a day of fun at a waterpark. Roses and Platja d’Aro have aquatic parks like Aquadiver and Aquabrava. With slides, wave pools and jacuzzis there is something for the whole family. Or visit the adventure parks like Parc Aventura in Platja d’Aro. With activities suspended in the trees including zip lines, vacuum jumps, nets and hanging bridges, find your holiday home in Platja d’Aro for an unforgettable family holiday. 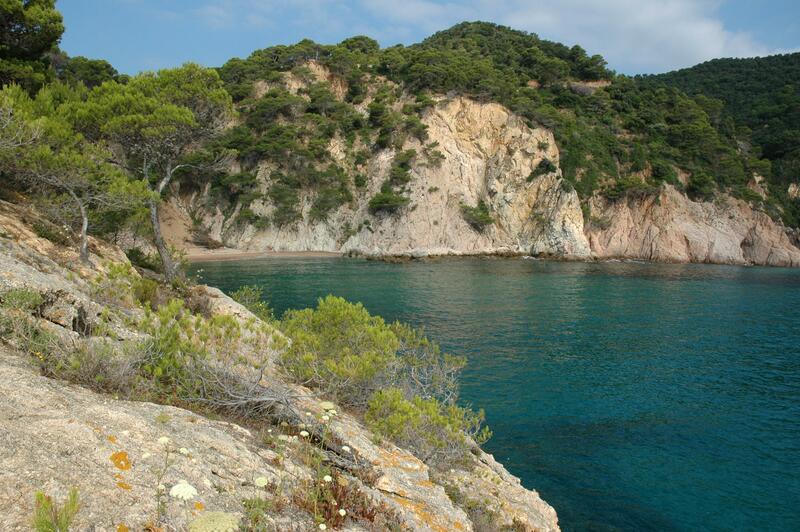 One of the best family activities on the Costa Brava is the Paratge de la Tudela hiking trail in Cap de Creus. On this route, you will discover unusual geological formations, which inspired some of Dalí's work. Let your imagination run wild and see if you can spot a gorilla, a sea lion or even a camel on your way around. In Roses, explore the surroundings and marvel at the views on board a train tour, designed especially for the little ones. Or for some action and adventure, paddle around the beaches in a kayak or canoe. If you decide to stay in Roses, your children are sure to have a fun-filled holiday full of adventure. 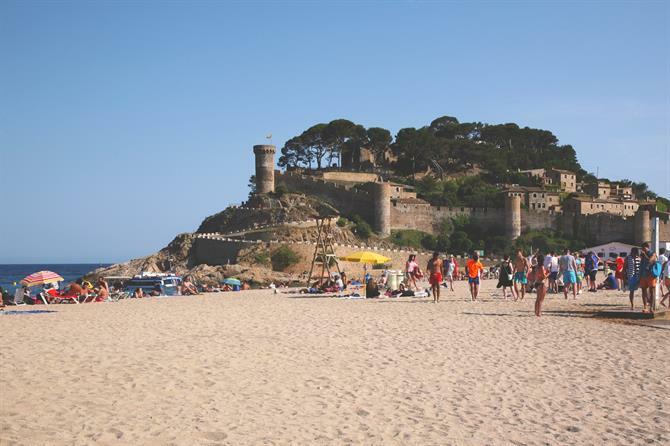 Alongside its medieval charm and an impressive fortress, Tossa de Mar offers numerous activities for the family such as paintballing, hiking trails and dreamy beaches. More people are seeking rural holidays in remote destinations to disconnect from routine life back home. The best thing about rural tourism on the Costa Brava is that you can enjoy the peace and tranquillity of the villages and have the option to explore the history and culture as well as visit neighbouring bigger towns. The small town of Pals looks like it belongs in a fairytale and is one of the favourite destinations for those seeking a romantic getaway on the Costa Brava. Located at the top of a small mountain Pals is surrounded by striking nature. Close to Montgrí Natural Park, the town is lined with cobbled streets and stone houses that have maintained their medieval charm. The staple ingredient of Pals' gastronomy is rice, grown in the wetlands that surround the town which you can visit by bike. If you want to return from your holiday full of energy and feeling refreshed don't hesitate to book a holiday home in Pals. For another chance to disconnect on the Costa Brava stay in Begur. 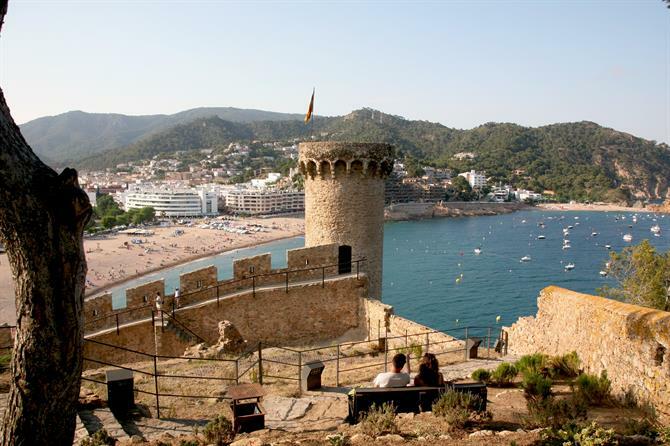 A small town protected by hills and a medieval castle where you can see some of the best panoramic views of the Costa Brava. Discover the “Indiano houses” of Begur, built by local inhabitants who emigrated to Cuba in the 19th century bringing with them back this style of Cuban architecture. For more of the Costa Brava's medieval history, Calonge is a great place to stay and boasts a castle dating back to the 12th century. Divided in two, the town has the perfect balance of modernity and history. If you choose the Costa Brava for your rural getaway you will enjoy the charm of its towns and beauty of its unspoilt beaches and coves. 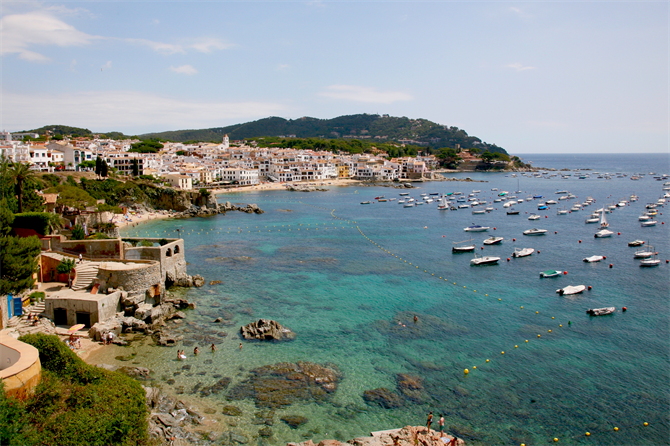 Towns on the Costa Brava are fairly humble in size and with the good weather starting from the end of May they attract tourism, leading to some great nightlife on this coastline. 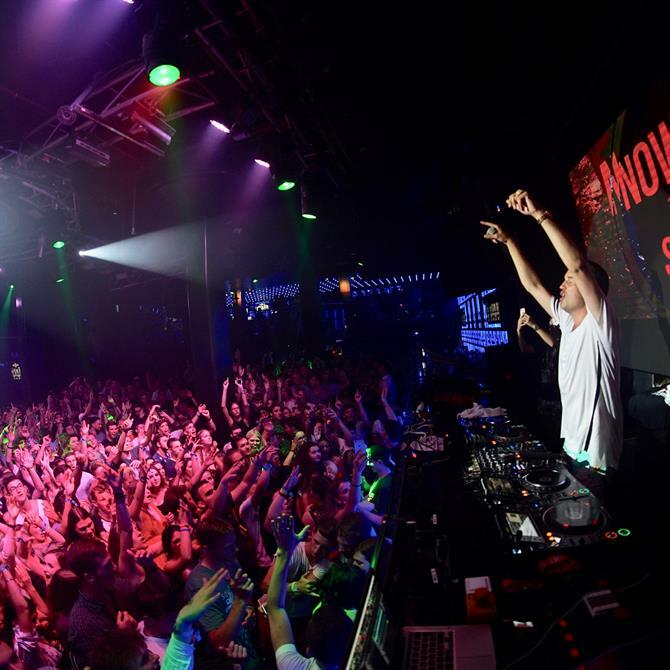 Lloret de Mar is without doubt one of the best party destinations on the Costa Brava. 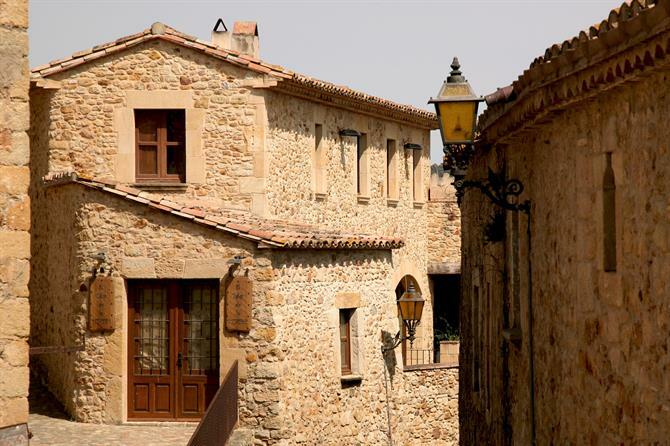 The town is only 70 kilometres from Barcelona is renowned for its nightlife. During the day you can enjoy the beach and the heritage if the town including the modernist cemetery, the church of Sant Romà and the gardens of Santa Clotilde. But, when the sun goes down you will be immersed in the vibrant atmosphere of the chiringuitos, bars and trendy clubs such as Disco Tropics, Disco Colossos and Moëf Gaga where you can dance until dawn. Platja d’Aro, Blanes and Empuriabrava are also known for their nightlife so you will never be far from a party on the Costa Brava. If you prefer a slightly quieter evening, towns such as Cadaqués, Roses and Tossa de Mar have bars and restaurants where you can enjoy a more tranquil vibe. 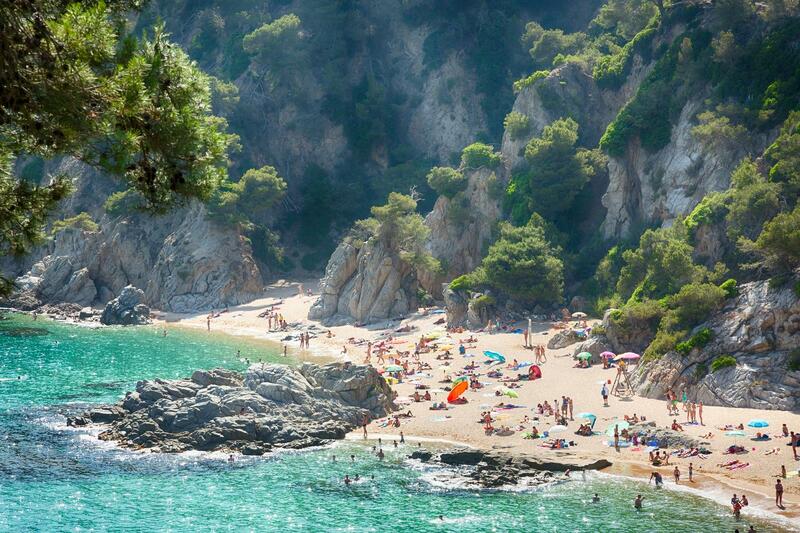 There are many reasons to visit the Costa Brava. From a city break full of culture and history to a holiday on the beach where you can find your own little secluded cove. Discover everything that the Catalan coast has to offer, you will not be disappointed.